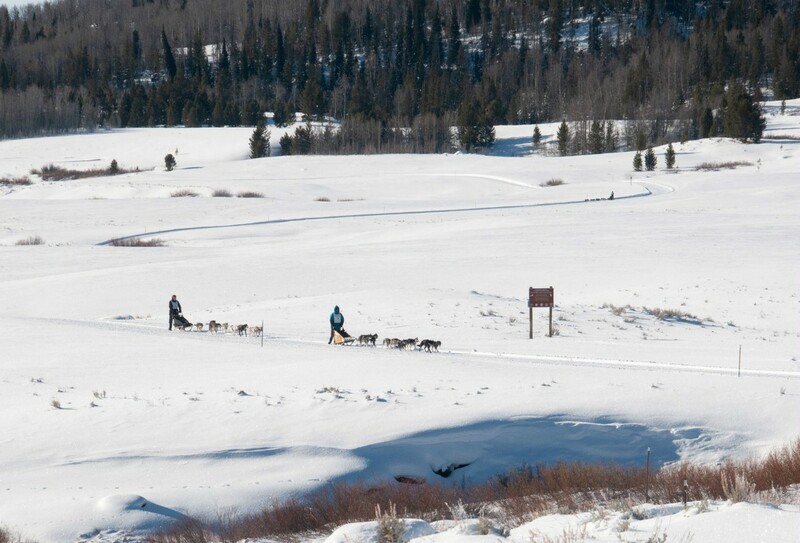 Today mushers ran Day 2 of the race in Pinedale, Wyoming (my hometown). 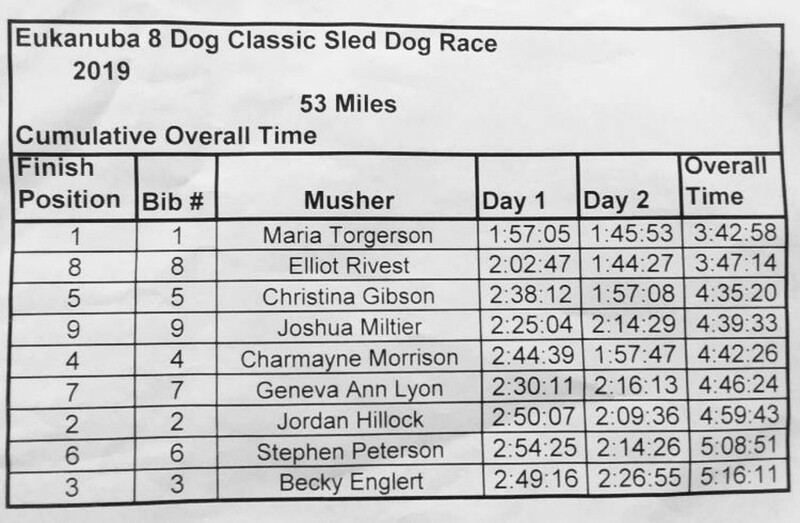 Today’s race was 37 miles for the 10 dog-racers and 25 miles for the 8-dog racers. It was cold and windy as we began the day but when the sun came out it warmed up quickly. We even heard reports of a cow and calf moose crossing the trail. Beginning the day in Pinedale. Today is the last race for the 8-dog racers. 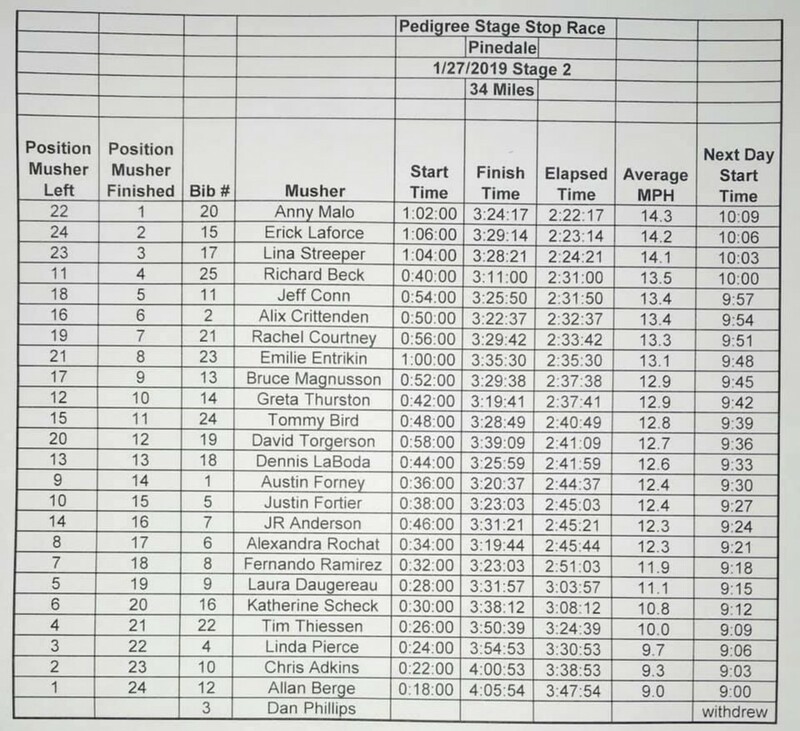 All of the racers had good runs and were great competitors. The day ended in a win for Maria Torgerson. Maria is from Red Lodge, Montana and is only 17 years old. 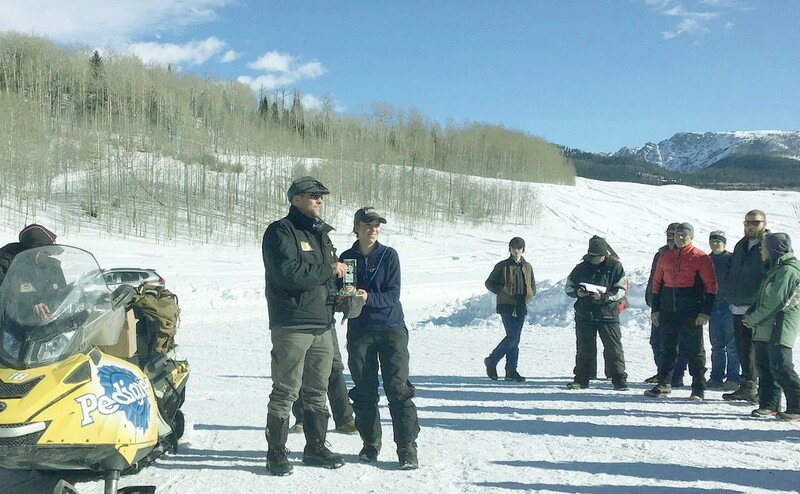 She was racing alongside her father, Dave Torgerson who is racing in the 10-dog. A huge congratulations to Maria!! Maria recieving her award for being the winner of the 8-dog race. Go Maria!! We had a large turn out at the start and finish of the race. Kids spent time on the sledding hill while the mushers were out on the trail. Erick Laforce wore the yellow bib as he departed. 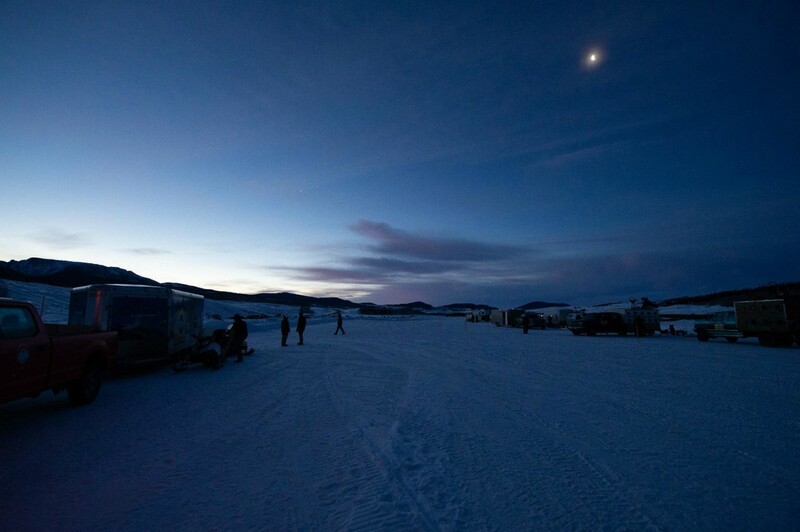 The musher with the fastest time each day gets the honor to wear the bib in the next day’s race. As the racers began to return, we all gathered and cheered them in. Anny Malo came across the line with at time of 2:22.17, making her the racer with the fastest time. She will wear the yellow bib in tomorrow’s race. Follow us tomorrow as we travel to Kemmerer, Wyoming. Mush on!! !